A few years ago, my wife, Penny, and I were hiking in the early December snow along Wood River, in the eastern margin of the Greater Yellowstone Ecosystem. 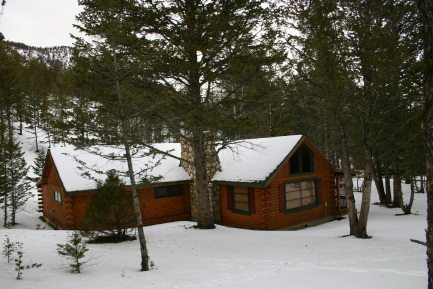 About two inches of fresh snow covered the ground, and the temperature hovered around 10 degrees above 0 degrees F. We owned a cabin in the area, and knew this was a favorite haunt of grizzly bears through much of the year. 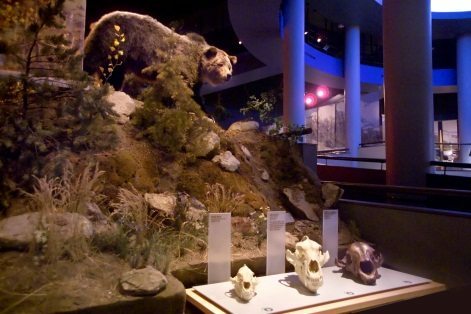 But, we weren’t thinking about grizzly bears on this day, knowing that most bears enter hibernation by early December. As we doubled back on our own trail, however, we got a jolt! There on the ground in front of us…on top of our earlier tracks…were the unmistakable footprints of a large grizzly bear, the long claws protruding in front of the toes. Examining the tracks, it became obvious to us that the big bear had investigated our tracks and scent, and decided to move away from us and head down the river. 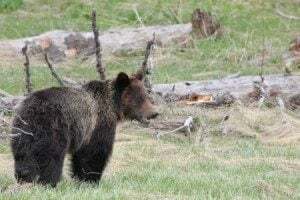 So, this is a reminder to all winter outdoor enthusiasts in the Yellowstone National Park area to be aware that, although the vast majority of Greater Yellowstone grizzly bears are in their dens by early December, some bears may not begin hibernation until later, and some well-fed bears may not enter hibernation at all in a given year. Bear 104 in the Draper Natural History Museum. To learn more Greater Yellowstone grizzly bear facts, visit our grizzly bear exhibits in the Draper Natural History Museum and learn how to avoid conflicts with bears by viewing our videos in the exhibit or online. Be safe, and enjoy your adventures in nature.